While he says he has no sympathy for the plight of Lance Armstrong, Tour de France champion Chris Froome feels that cycling can gain from the disgraced former rider co-operating fully with anti-doping authorities. Last year Armstrong was banned for life by the United States Anti-Doping Agency (USADA), after it uncovered what it called "the most sophisticated, professionalised and successful doping programme that sport has ever seen" during the American’s seven-year dominance of the Tour de France. While World Anti-Doping Agency (WADA) president John Fahey has said that it “would take something close to a miracle” for Armstrong to have his life-ban reversed, the American has hinted that he may detail his doping activities to the authorities. 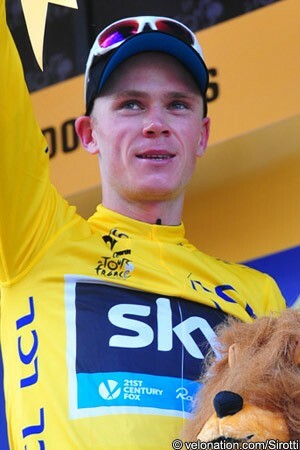 Froome would welcome this move from Armstrong, as he feels that the sport could finally move onto a new era. "There is still so much that needs to be explained, needs to be elaborated on in order for everyone to be able to put this story to bed and, finally, move on from this,” Froome told Sky Sports News. "There is still a lot of good that can be done through what he has to say. And I think it would eventually put an end to that story and allow the rest of us to carry on with our careers. Froome has had the misfortune to win the first Tour de France since Armstrong’s ban was handed down by USADA, which detailed much of what wen on during those years. While all race winners deserve scrutiny, Froome - and Sky teammate Bradley Wiggins the year before - have arguably faced more than they otherwise would have, thanks to the exposure of Armstrong’s activities. Armstrong himself came out with a somewhat stage-managed confession to US chat show host Oprah Winfrey earlier this year, but Froome feels that the American should go further so that the issue can finally be closed. "I don't think it's good for the current situation of the sport to be lingering on what's happened in the past,” Froome said. "I'd want to see him come forward and really tell it like it is and say exactly what happened so that we can put the story to bed. "It happened more than a decade ago and we need to stop talking about it now."